I clicked a date on the Calendar Dashboard widget and was prompted whether I wanted to allow Dashboard access to my Calendar. Not realising what this meant, I did not grant access. 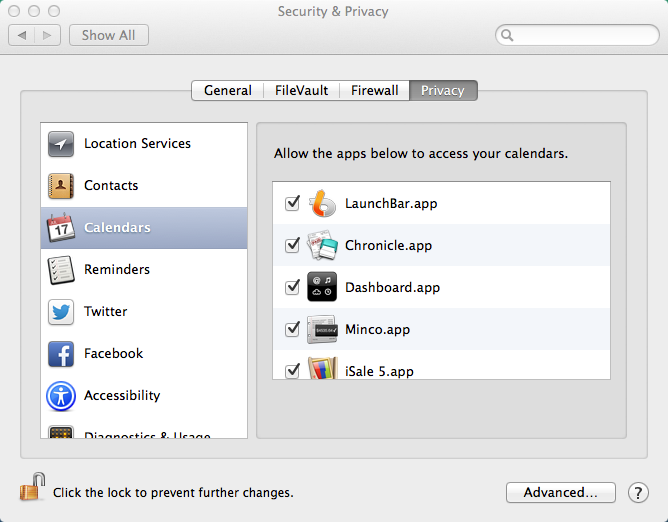 Now, I would like to allow the widget access to my Calendar. How do I enable this? You should be able to check/uncheck Dashboard for access. You will have to quit and restart the widget in order to accept the new setting. Not the answer you're looking for? Browse other questions tagged calendar dashboard-widget dashboard . Is there a dashboard widget for displaying (and monitoring or reloading) plain text files? How to convert OS X Dashboard widget to desktop app? Is Dashboard on life support? How do I get the 'Calendar' app to display on the Dashboard?